Epic added Battle Royale’s very first vehicle this week, but sadly, none of this week’s challenges require you to use a shopping cart. As usual, you’ll be dealing damage, getting kills, searching chests, and hunting down hidden Battle Stars. SMGs are all over the place in Battle Royale; you’ll find them in chests, vending machines, and on the floor. And with such high fire rates, you can deal plenty of damage to opponent players in no time. 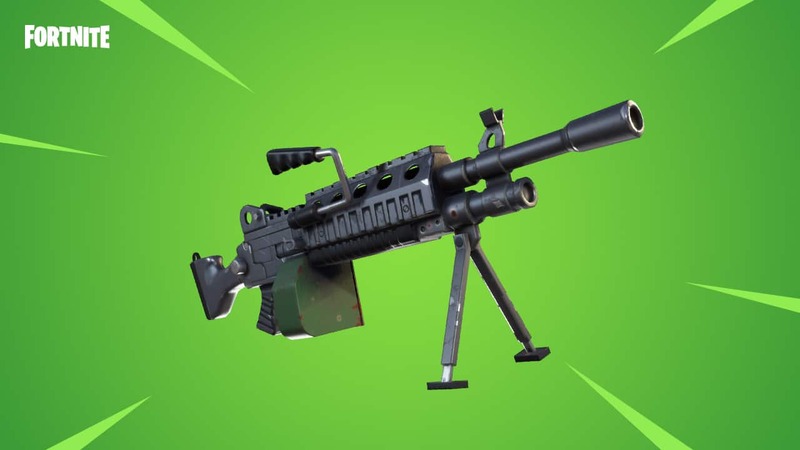 The silenced SMG recently saw a big buff, so this challenge will be easier. SMGs aren’t long-range weapons, so use them in close-quarter gunfights. It’s a good idea to land in built-in up areas where plenty of other players will be running around nearby. Grab an SMG as quickly as possible and start racking up those kills. Remember, this challenge is to deal damage, not to get kills. 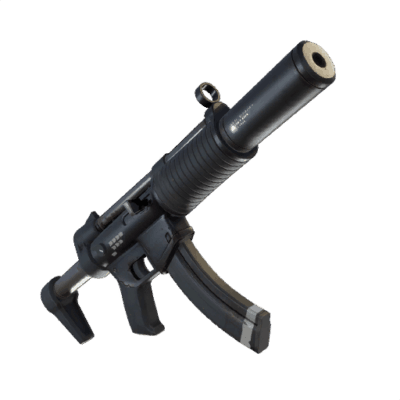 If you’re struggling, hop into a game of duos or squads and down enemies with a gun you’re more comfortable with using first. You can then finish them off with an SMG when they’re on the floor and unable to shoot back. Searching chests is easy if you know where they’re located. 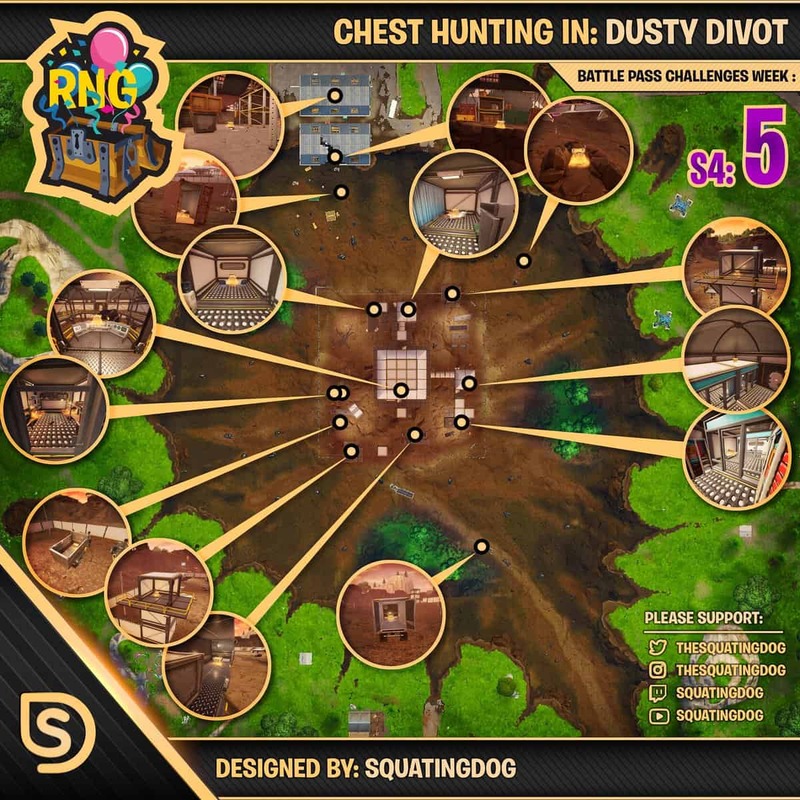 The map below, courtesy of @TheSquatingDog, shows you where all the chest spawns are in Dusty Divot. All you have to do is get to them before other players. All chest locations in Dusty Divot. Dusty Divot has become relatively quiet now that its novelty has worn off, but you can be sure it will be overrun with players for the next week as everyone works to complete this challenge as quickly as possible. If you’re struggling to get to chests before being killed, give it a few days and try again when it’s quieter. Remember, you don’t need to search all seven chests in one game. You can search one or two and keep coming back to Dusty to finish this challenge off at your leisure. This could be the easiest challenge this week. 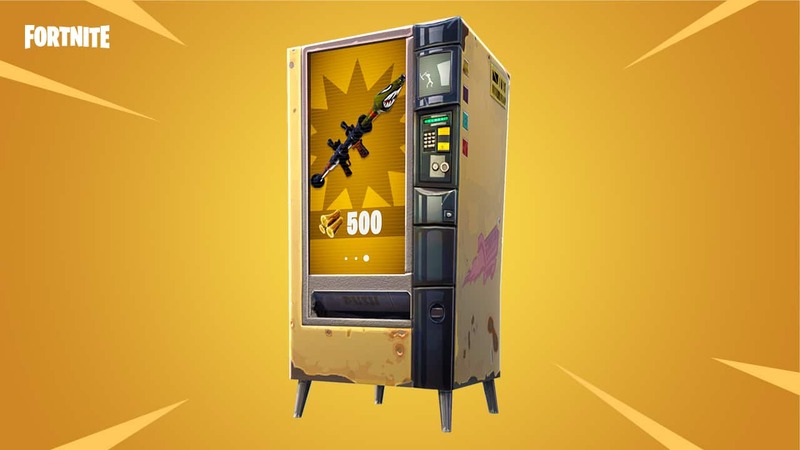 All you need to do is grab enough materials, find a vending machine, and purchase something from it. Using a vending machine is easy if you have the materials. Vending machines are located all around the map. Some will require as little as 200 materials, while others offering rarer weapons will demand 500. Just farm as many materials as you can at the start of each game and use a machine when you find one. You’ll need to do this three times to complete this challenge, but you can do it in three different matches if you wish. This is another easy one, but you’ll need three friends to help you with it. 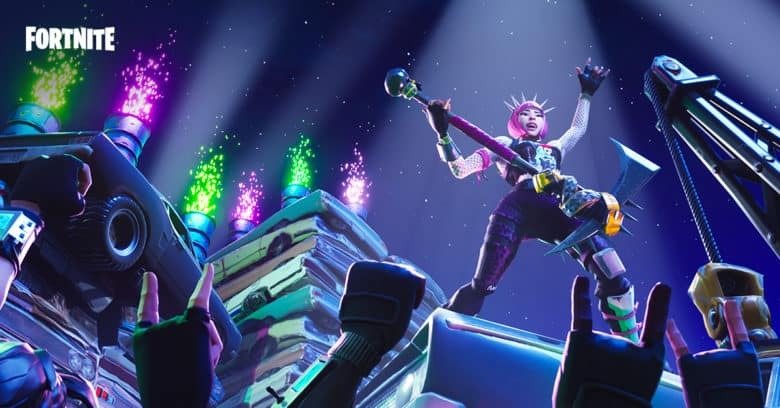 All you need to do is take your squad to the dance hall near loot lake where you’ll find a disco ball on the ground, surrounded by four dance mats. Each of you need to stand on a different mat and dance simultaneously. This will cause the disco ball to rise to the ceiling, and that’s this challenge complete. Epic considers these challenges “hard,” but they’re easy if you know where to go. 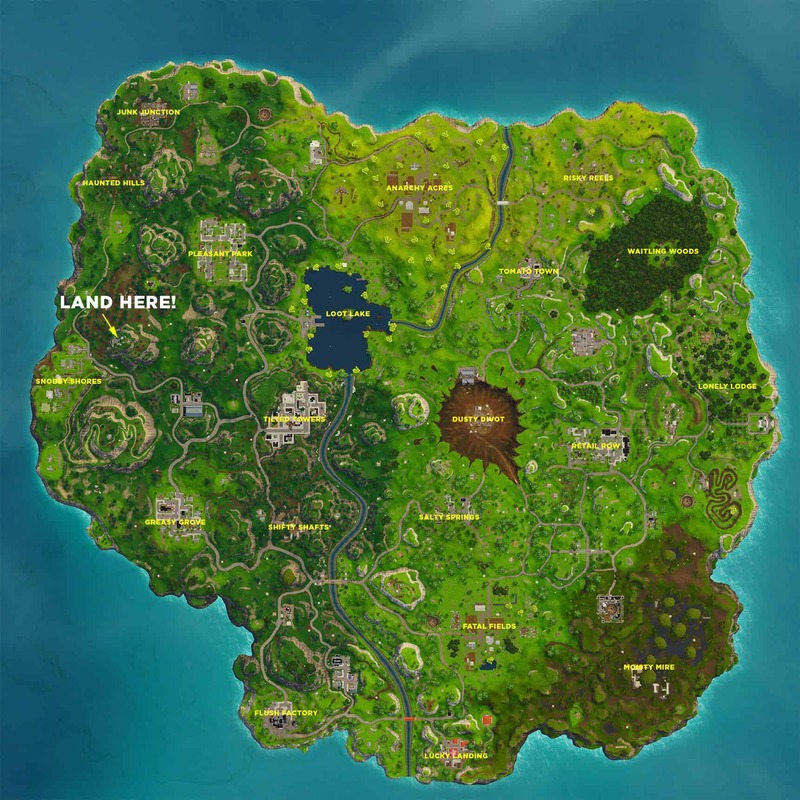 There’s no need to visit Greasy Grove first; simply follow the map below where you’ll find ten Battle Stars waiting for your collection. Here’s where you’ll find 10 hidden Battle Stars. This challenge is tricky because not only are the minigun and the light machine gun difficult to find, but they are incredibly inaccurate. The LMG is deadly, but only up-close. You’re more likely to find these weapons in chests and supply drops. Treat them like SMGs and use them in close-quarter gunfights. You’ll find it near impossible to pick people off from across the map with these. This is another challenge that doesn’t have to be done in one game, so take your time. Lucky Landing is usually a quiet spot, but like Dusty Divot, it will be overrun with enemies this week as everyone works to complete this challenge. Simply land there at the start of the game, grab a gun as quickly as possible, and start killing. If you struggle to pick up kills because you’re dying quickly, wait a few days until Lucky Landing is a little quieter. Just don’t leave it too long because if it turns into a ghost town again, you’ll find this challenge even harder.